Unlike many vintage lovers, I have never studied fashion or costume, and hardly any history before 1900 (despite a brief Ancient Rome and Ancient Egypt period in school). Everything I know about 20th century clothing (which isn't a lot!) has been self-taught over many years of reading books, making random vintage purchases, watching the Antiques Roadshow and reading excellent historical fashion blogs. This does mean that my fashion knowledge starts to peter out the further back in time we go. I really would love to learn more about fashions in the 19th century and earlier, and so I was very keen to be asked to review How to Read A Dress by Lydia Edwards. The book is laid out in easy to follow time periods, which is especially helpful for the earlier eras that I'm personally less familiar with. There are lots of wonderful illustrations, either pictures of paintings, or photographs of museum exhibits. Accompanying each illustration are detailed annotations, pointing out key features. This is further expanded upon in the introductions to each chapter, which outline the main attributes of dress in that time. 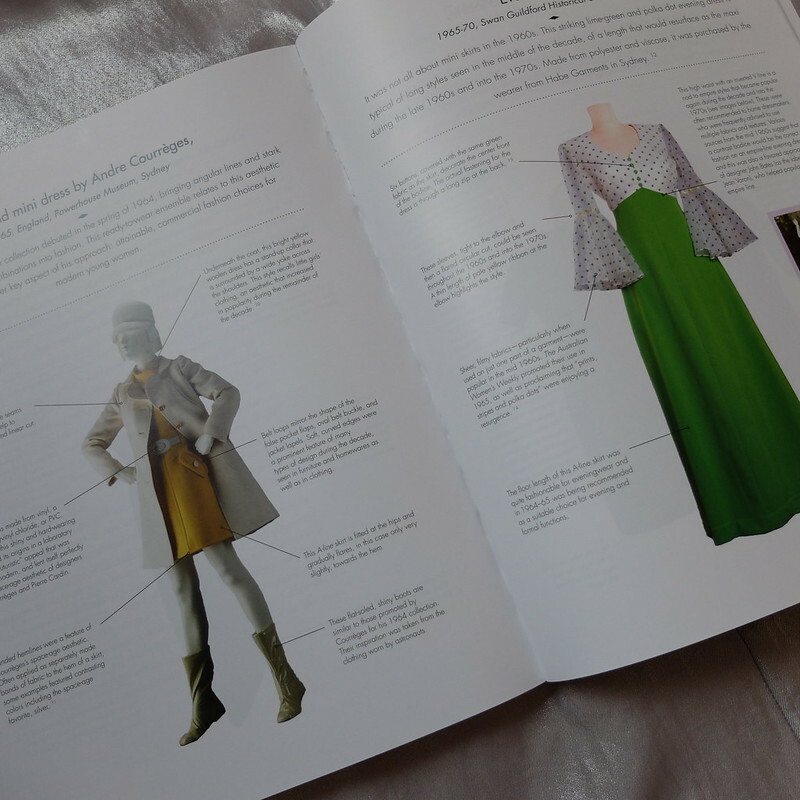 The book is also certain to appeal to those of you interested in dressmaking, because there are some fascinating insights into how garments were constructed. I found myself having a few 'oh!' moments as I worked out how various bits were attached in a way very far removed from modern garment construction. I was keen to try and memorise a lot of the tips given on dating historical costumes. You might think that the further you go back in time, the easier being able to date something may become. Not so! Necklines went down, up, and down again, in the space of a couple of decades. The bustle was in, out, and then in again. How fickle! I really did get a sense of just how complex dating costume is, and the real need for a guide through for the lay person such as myself. This book has struck a fairly good balance between being academic and holding the interest of the average person that might want to flick through it. Despite this, I did find myself losing the general train of thought at some points, as I was distracted too much by the description of things that could have done with further illustrations (e.g. a 'farthingale' dress support, which was alluded to but not actually shown. I still can't quite picture what it looks like). The other thing is that this is an international book. Here in the UK, we tend to divide history neatly up into Royal houses, so we think of things as being Victorian, Georgian, Elizabethan etc. Without these markers, I found myself getting lost on occasion and trying to think of major historical events that would have happened around the time of certain dresses' creations so that I could better understand the context. 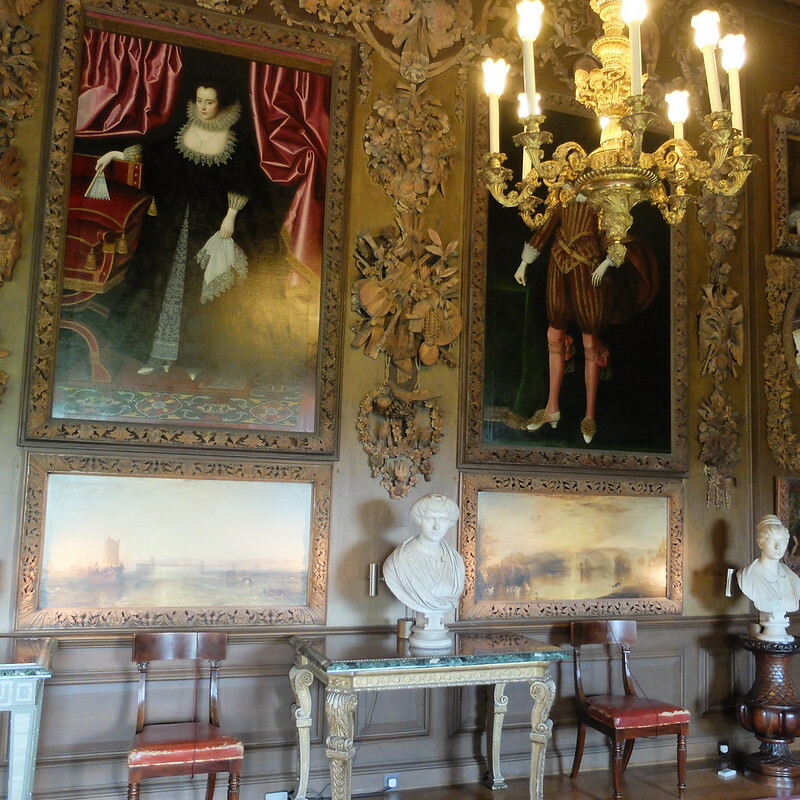 On a recent trip to visit one of my sisters in West Sussex, we called in to Petworth House, a 17th century National Trust run property that houses an incredible art collection. Walking through room after room of magnificent paintings, I tried to recall what I'd read so far in the book. 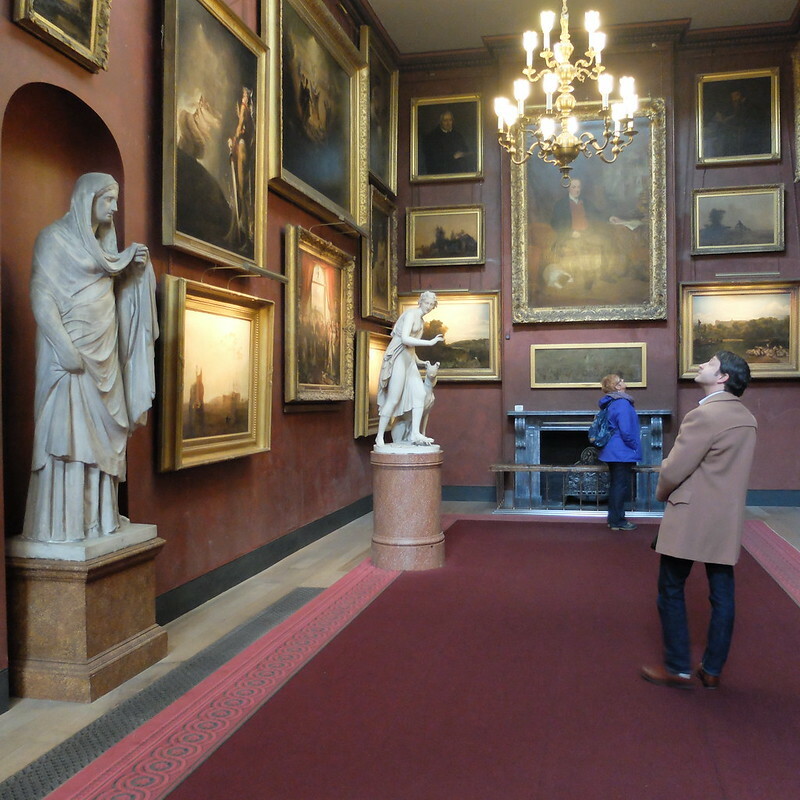 I tested my knowledge by trying to date all of the paintings featuring women, and then checking the dates in the visitor information. After a good start with the mid 1600 paintings, I then failed miserably at anything earlier or later! 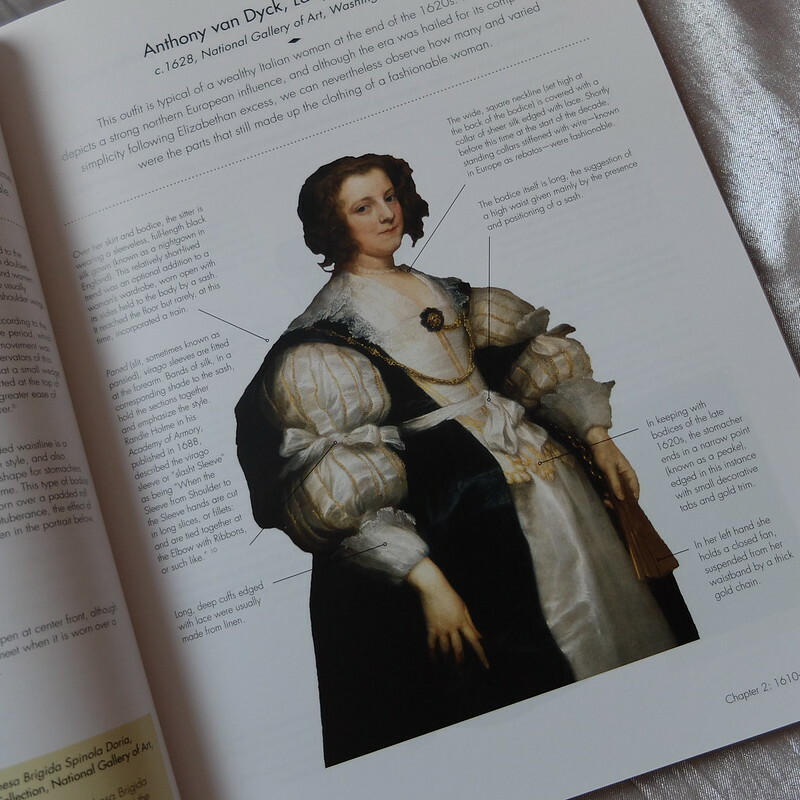 It was only when I got home and flicked through the book again that I realised that one of the paintings featured in it - this one by Van Dyck of Queen Henrietta Maria - had actually been hanging on the wall at Petworth. I thought it looked really familiar at the time but couldn't place it, and was out by 100 years when I attempted to date it (it turned out to be a trick question, as the National Trust version is a copy painted 100 years later than the original..). Sat at home and thinking back to the wonderful paintings at Petworth, I had a light bulb moment - this book is all about how you use it. Yes, it would be lovely on your coffee table, but also a bit pointless. That would be like reading a bird-watching book without looking out of the windows at the birds in your garden. Take this book out, go and visit an art gallery or a fashion museum and use it to play 'date the historical clothing'. That's when this book will stand apart from other books on historical fashions. It's in essence a travel guide through centuries of female fashion. Just what every time-traveller needs. 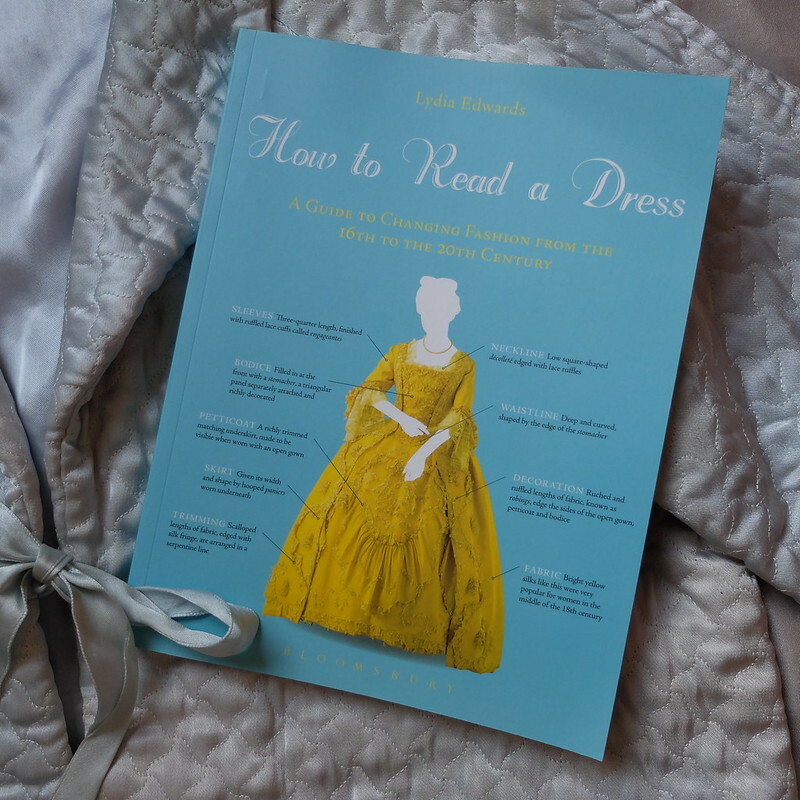 How to Read a Dress is published by Bloomsbury. You can buy it at Hive (supporting independent book sellers) for £20.05. I received a free copy for review - views are entirely my own. I'd have killed for that book as a little girl, I used to pore over books on historical costume in the reference section in the library back in the day. That 1970s lime green maxi needs to be in my wardrobe. Sounds very interesting although I'm sure I'd be lost right away. It would be great to have along when you visit these types of places to learn more than what the average person takes away from their visit. That sounds fascinating! I'll have to try to get my hands on a copy - both history and fashion are passions of mine, so I'd love to learn a bit more about both. I have never been good at reading the details of a dress. I look at a dress based on what I like, or the sewing details it includes, to be honest, I have no idea what those details mean for the dress and it's history. Nice to see a book that makes this process easier, it is nice to know the history of a garment.